Alan Turing Memorial Scholarship Awarded to Valeria Gonzalez! 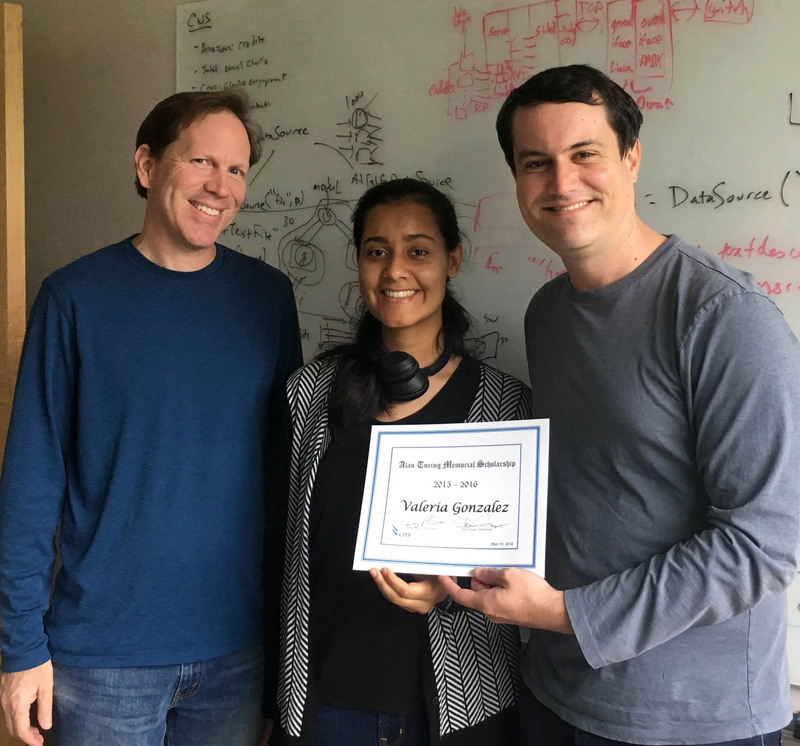 The Center for Networked Systems (CNS) is proud to announce Electrical Engineering undergraduate Valeria Gonzalez as the recipient of the Alan Turing Memorial Scholarship! 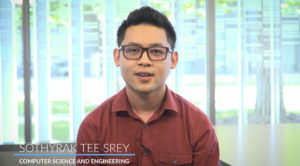 The 2015-2016 academic year is the inaugural year for the Turing ($10,000) scholarship and is awarded to a UC San Diego undergraduate student majoring in computer science, or any program touching on networked systems, who is active in supporting the LGBT community. All scholarship recipients will have the opportunity to be involved in CNS research projects of mutual interest and will be invited to the CNS Research Reviews. Gonzalez expects to graduate in 2017, but she has already had the opportunity to engage in hands-on research (a key factor in winning the Turing scholarship). Starting last summer, she was an undergraduate student researcher in the Integrated Electronics and Bio-Interfaces Lab under her advisor, ECE Prof. Shadi Dayeh. Gonzalez grew up in Paramount, a small city east of Compton in the southern part of Los Angeles County. She attended Cypress College, a comprehensive community college near Paramount, and later transferred to UC San Diego.